All too often, site owners—especially ecommerce site owners—neglect their social media buttons. They do little to nothing to optimize their placement or how visitors interact with them. The assumption is, if you apply social buttons to a webpage, you’ll automatically get more social traffic. The reality is you have to optimize them to see results. Otherwise, you’re not maximizing their potential. Lucky for you, you’re reading this article and are about to learn how you can use heatmap and scollmap technologies to better optimize your buttons. There are just some things your site needs. Like a lead generation field or email signup. You need to have social buttons on your page. It’s that extra attention that you put into optimization that makes them worth the effort. And let’s be honest, as with lead generation optimization, if you’re spending money to push people to your site, why wouldn’t you try to get the most bang for your buck? 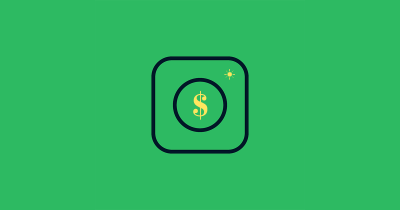 If you currently pay $1 per click and 2% of those paid visitors share your product/page and each share nets 1 social visitor, you get 102 visits per $100. This means social sharing reduces your average cost to only $.98 per visit. If optimized, let’s say you see that now 6% of these paid visitors share the page and a new optimized text nets an average of 1.5 social visitors per share. 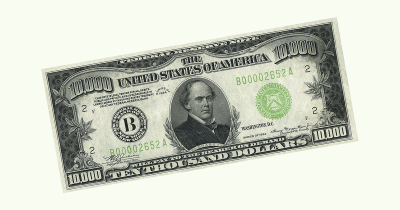 You get 109 visits per $100 of spend. This brings the average cost per visit down to $.92 per visit. As you can see, a small improvement can make a big difference. What are Heat and Scroll Maps? Heat maps and scroll maps are a type of analytics software (Crazy Egg, for example) that gives you insight into where users are focusing their attention and how far down they’re scrolling on a page. This data can help you understand how to shape your page and direct flow towards call to actions, social buttons, or information that you want them to interact with. Probably the most obvious tip, but it’s worth mentioning, is that your sharing buttons NEED to be above the point where most people lose interest and stop scrolling. The scrollmap will tell you this. Your social buttons need to be in an area that is visible to at least 75% of your visitors. On most sites, scrolling diminishes below the fold. This means ideal placement for your social buttons will almost always be somewhere above the fold. You want people to use your sharing buttons as much as possible, of course. This will only happen if they see them in the first place. If you’re offering a social reward (discount for sharing), you want people to see that option. It helps boost conversions, so it needs to stand out. Products with more shares tend to convert better because a high share count is a strong indicator of social proof. Again, if people can’t see your wonderful share count, they’ll have no chance of being influenced by its inherent social proof. 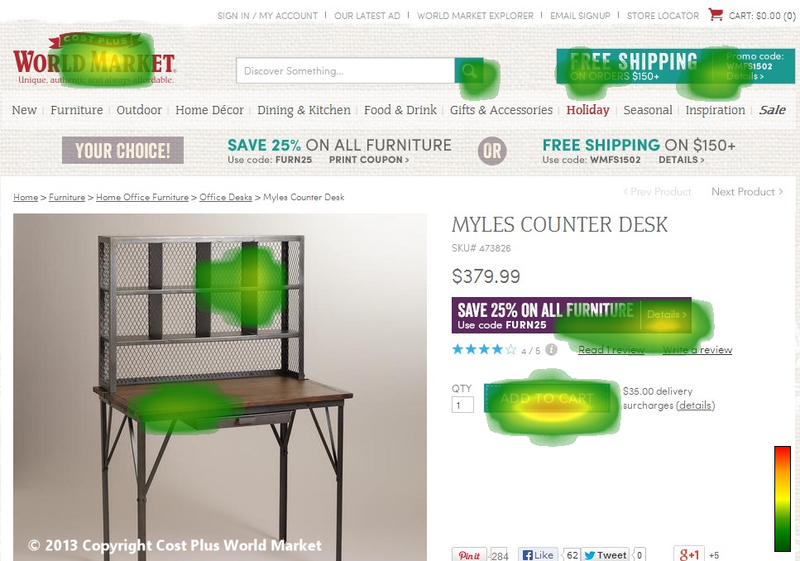 Your heatmap will tell you which areas of the page get a lot of focus, and which parts don’t. In most cases, people focus on either the product image, the description, or the main ‘Purchase’ or ‘Add to Cart’ calls to action. Once you figure out where your hot areas are, place your sharing buttons in the ‘hot’ parts of your pages. Be sure to include your sharing incentives (e.g., “Share for 10% off!”) within close proximity to the hot areas as well. All too often people go to click a social sharing button and then back out. Use your heatmaps to see where people focus their attention when attempting to share your products. Take the information you find and make changes that adequately refocus attention onto the social buttons. Remove unpopular icons. If people don’t share often to site X… if the social button is clicked often but people never follow through… or if the click-through rate of the social site is drastically low… just remove it. Focus the attention on the social sites that matter, the ones that are getting shares and are driving back traffic to create strong social ROI. Reword the base text that comes up while sharing. It may be that people are backing out because they don’t want to write a custom post or don’t know what to write. Make it easy for them with your well-crafted base tweets that not only help them complete the social share but drive higher click-through rates. Test out different social button designs. There are thousands of different designs and options for the way a social button looks on your site. Try out different designs, shapes and overall look of the social buttons. Even changing them to a more identifiable, network-created button may be an option. Below is an example of how different social buttons can be and there is no way to know which will work the best with your brand and site design until you test some out. On the left is the custom button set for ShopJeen.com, in the middle is AddShoppers’, and the right demonstrates Twitter’s basic button set. Leverage your analytics and information to find out what you believe can be done to increase social media shares. No two sites are the same, so be prepared to dig deep into your personal scroll maps and heat maps to find out what you can do to focus attention and completion of social shares. When it comes to social media buttons, just about every single website has them on their page. 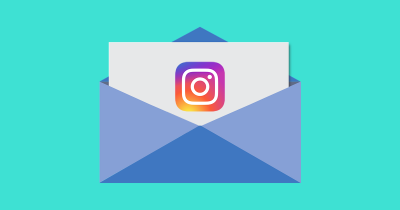 They’re nothing new, but the website that’s going to triumph with social is the one that actually cares to optimize the performance of their social buttons. By the way, you can get a free 30-day trial of Crazy Egg’s heat and scroll maps here. Mitchell is the current content strategist for AddShoppers, social media marketing tools. In addition to working with AddShoppers he is a digital marketing consultant for growing digital businesses and ecommerce sites. Follow him on Twitter.